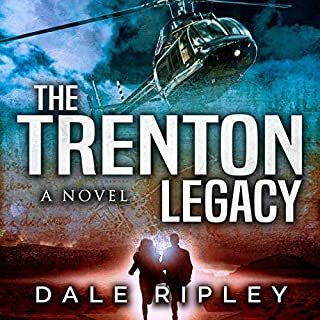 When a college professor is murdered on his fishing boat, his estranged granddaughter, Maggie, races to uncover the deadly secrets he'd been protecting. 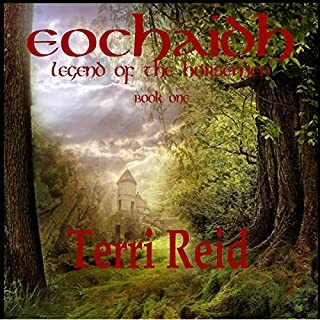 Her journey leads her on a breadcrumb trail across the country in a desperate cloak-and-dagger search for her grandfather's final research notes. 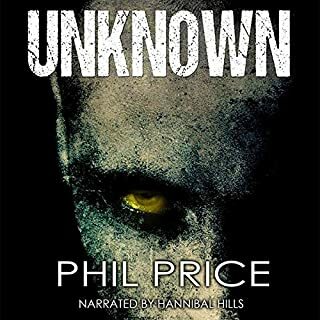 Maggie soon discovers that there are others joining the chase who have little regard for human life and who will stop at nothing to prevent Maggie from getting to the research first. Gabriel is a simple sailor, doing the bidding of his Captain and King, when he is swept up in a storm that changes his life in ways that he could never have anticipated. Carlotta yearns for her lost home, and is searching for her lost husband, but both remain elusive in a world that has been turned upside-down by forces far outside of her control. When the storm that is Governor Bernardo de Gálvez breaks over them both, neither will ever be the same - and nor will their world. Over a thousand years ago a brave band of Knights of the Round Table agreed to enter Morganna’s castle and remove an ancient spell that allowed the sorceress the ability to travel in time. But they were betrayed and Morganna caught the young men and despite Merlin’s protection, cast a spell upon them that would age them a year for every day they lived as men. Merlin did the only thing he could; he changed the men to horses so they could roam as immortals until someone could break the spell. On the night of April 14th 1865, President Abraham Lincoln attended a performance at the Ford Theatre in Washington. A single shot fired by John Wilkes Booth hit the President in the back of the head. He slumped to the floor, and died a few hours later without recovering consciousness. Was Booth a lone assassin? Or was he part of a wider conspiracy? A great story set in civil war era. As a Quaker blacksmith, Robert is used to the challenges of fire and iron, but when the American Revolution splinters his own family and threatens his community, he will wrestle with questions of belief and philosophy. He must rely on his inner light to keep his family safe, and lead them to freedom. 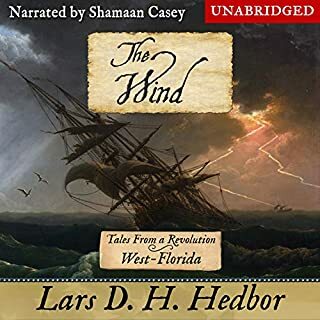 The Light is Lars Hedbor's standalone novel set in New Jersey from his Tales From a Revolution series, in which he examines the American War of Independence as it unfolded in each of the colonies. The Black Legion has vanquished every army and fleet sent against it, yet now this invincible Legion is in full retreat as it races away from the Emperor’s wrath. They gambled all on a single decisive battle and with it lost everything. With victory against the Emperor now impossible, the Legion finds itself lacking purpose and money. They came to the Empire with promises of glory and reward, but now they are trapped and surrounded on all sides by enemies. The massacre of the Legion’s officer corps leaves it vulnerable, and it falls to warriors like Xenophon to hold back their desire for revenge and to put them on a path home. The God King Artaxerxes is no fool, and he knows he cannot let a massive Terran fleet make its way through his domain unchallenged. To do so would encourage dissent in his already weakened empire. He may have fought off his brother, Lord Cyrus, but the threat of revolt is ever near. Mobilizing forces from every corner of the Empire, he throws them all at the Legion under the command of his trusted lieutenant Tissaphernes. 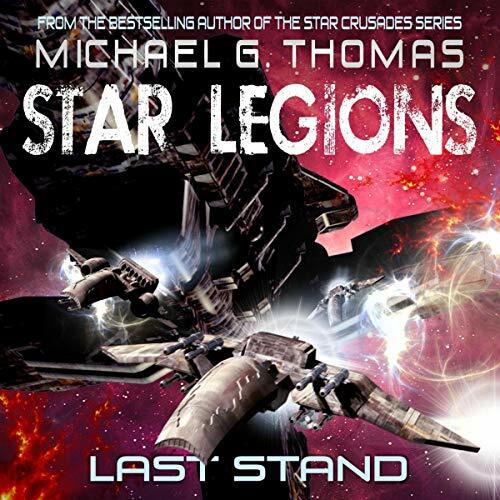 Last Stand is the fourth book in the Star Legions series from Michael G. Thomas, the best-selling author of the Star Crusades series, previously published as the Black Legion series. So over the pst week and change I have been listening to the entire series. Overall I found this book started a bit slower than I had hoped however it quickly caught up. I definitely recommend do not start here. Go back and check out book 1 so you can follow everything. I was given a credit to purchase this story in exchange for a review however I went ahead and grabbed the whole series. As I said eariler start with book 1. I liked the narrator in this book, he is one of the better one's that I have listened too. However, I felt the book is not as good, but this could be due to the fact that I have not listened the others in this series. There were to many characters and different races to get my head around. I end up being confused on who was the good guy and who wasn't. There is plenty of action right from the beginning and it is not as long as I expected. This is my opinion so others might like it way more then I did. I would recommend reading/listening to the others in the series before reading this one. A sci-fi space adventure that delivers. There are a lot of characters and detail, that it’s almost hard to keep up with early on, but as the story takes off you are drawn in. A fantastic story of war, treachery, and strategy. The narration is nicely done, I have listened to other books from this author, where the narration kills it for me. This one though, kept me in it through the entire book! Makes me think I may have judged the author unjustly in my previous encounters. Well done! This is a well written and action packed tale that includes an expert narrator. I'm certain that any fan of science fiction will enjoy this one. Although sci-fi is not my expertise. This was a fun story. Very well written and thought out. The narrator is amazing! all in all, a very fun book if you are interested in sci-fi. The Narrator, as always, is stupendous! This book was provided free of charge in exchange for a fair review of the book.. Thank You! First off, in my opinion, this is not really a stand alone novel. The story itself was complete and very well written but I felt like I was missing character development. The first few books probably covered that but unfortunately, I listened to a sample of the first audio book in this series and wasn't keen on the narrator. At all. As for the writing, Michael Thomas does a really great job. I feel like he could easily write battle scenes for action movies, that's how detailed and clearly he portrayed the battle. I could picture the battle in my head as Casey read. However, I got confused at times over names and who they were gender-wise but again I think that might have been because I came into the series midstream. I may try to read the first of the series instead of listening if I have the time. As this book mostly covered one battle, I probably would have struggled to finish it except that the narrator is THAT GOOD. I don't know where Shamaan Casey has been all my audio book life but I think he is definitely someone to keep an eye on. His reading of this book was spot on. He also did female voices without the agonizing falsetto that some male narrators resort to. Casey has a very deep voice so accomplishing a female voice successfully was a bit surprising but happily so. In all seriousness, I recommend that the first books be re-done with Casey as a narrator. I really enjoyed the story the characters were well thought out and well developed. The narrator brought it home and made them living creatures. I say creatures because they aren't human. The smooth voice and interpretation of the characters brings another level of creativity to this book. Great addition and listen for your library. Well worth the money and time. Not a big sci-fi fan but this novel did capture my attention. Seems even in this world you have the same mixture of love, friendship and greed for money as the 'regular world.' A fast-paced novel that will keep you listening to the end! The author surely knows how to keep your attention and the narrator did a great job in the telling. A must listen too. This was a great military warfare / science fiction story. I was a little lost at times, as this is the first book I've read/listened to in the series. There are a lot of characters to keep up with. That being said, there is tons of action to carry you through the book. The narration was well done and kept me engaged for the entire book. I think you'll get more out of this book if you start at the beginning, but this book stands alone well enough to still enjoy. All in all, I enjoyed the listening experience, so that's a win in my book. Continuing the series and it is getting more interesting, still has the characters that you have came to love in the other books prior to this. Story is still there and lots of action. Dozens and dozens of battleships. This is the fourth book in the star Legions series and is, essentially, an account of a single battle for all but a few minutes of it's seven and a half hours. To be honest, although I really enjoy military science fiction, I do sometimes find that the more extended battle descriptions become tedious. But not this one: I was immersed in the action throughout, as the pov leaped between different characters, ships and strategies and we'll as conflicts and betrayals between so called allies. However, I also have to confess to a certain confusion as to who was actually fighting who, given the large number, not only of individual protagonists involved, but the various races, also. This is almost certainly a result of my entering the series with this book, the fourth, rather than having read them in sequence - a situation are intend to remedy shortly (I have already purchased book one). 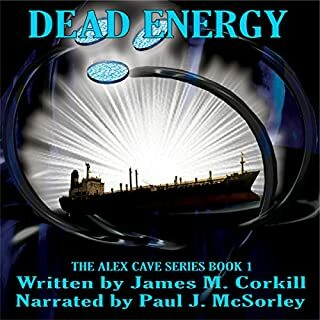 Narration by Sharmon Casey was good, his deep voice lending gravitas to the story as well as being closely matched to the text and his giving appropriate individual voicing to numerous characters. A good performance overall. 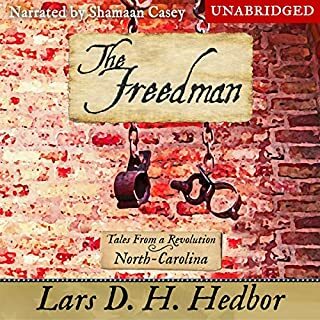 My thanks to the rights holder of Last Stand, who, at my request, freely gifted me a complimentary copy via Audiobook Boom. A must for all Who enjoy military space S.F. But, for character clarity, probably best to start with volume one.